In 2014, we celebrated ten years of mission achievements that Saving Grace – A Night of Hope has made possible. If you’re interested in hosting this gala event, read on for important information and instructions for submitting a proposal. What is Saving Grace – A Night of Hope? After ten years, Saving Grace – A Night of Hope has become the signature gala fundraising event for the Preeclampsia Foundation, with a combination of inspiration, emotion, entertainment and the ability to bring together key stakeholders in the field of preeclampsia. Proceeds from Saving Grace support much of the Foundation’s basic research and education programs – critical objectives toward realizing our vision of eliminating preeclampsia as a life-threatening complication of pregnancy. While the Foundation has been the “saving grace” for so many affected families, this event has also become the “saving grace” of the Foundation’s need for financial resources to grow its capacity and impact. The gala rotates among major cities, increasing national awareness of the disorder and taking advantage of the relationships and synergies present in the host city. In each host city, a volunteer chair takes the reins of the event to bring together hundreds of stakeholders for an elegant night of education and hope. Corporate sponsors play an important role not only through financial support, but rallying their employees to participate in the evening’s activities. At each Saving Grace, a specific programmatic need is identified. Enthusiastic and generous audience participation via a fund-a-need pledge drive raises the necessary funds to support the program. This is often followed by a fun and successful live auction, where the crowd bids high for travel, artwork and a variety of experiences. Most importantly, Saving Grace is a night of stories, where the city’s audience learns more about the personal impact the condition has had on families in their community. This is accomplished through a tasteful and professionally produced slide show and/or personal testimonial. If you’re interested in hosting this event in your community, we invite you to respond to this Request for Proposal (RFP). This process will formalize the location selection and ensure that the Saving Grace event is set up to succeed in its goals of community education and fundraising. What if nobody meets the requirements for hosting Saving Grace? There may not be a Saving Grace gala every year. It takes an enormous amount of work to produce a successful event. We want our volunteers’ efforts to result in a successful, satisfying experience. Thus, if all the elements of a successful event are not present, it better serves the needs of the volunteer committee and the Preeclampsia Foundation to not hold the event. Our ultimate goal is to ensure the highest level of success in fundraising, awareness and support. What if you get more than one strong proposal in a single year? If we should receive more than one strong proposal, we would discuss with the potential chairs about scheduling the events over consecutive years. How will survivors come together if there is not a Saving Grace event held in particular year? Saving Grace has served the added function of bringing together survivors from around the country to connect, cry and support one another. We will continue to put a strong emphasis on opportunities to bring our supporters together in-person. 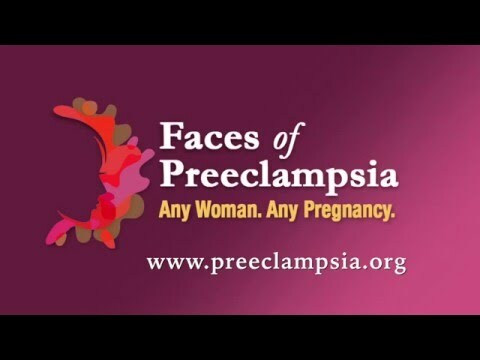 This may take multiple forms, such as a Preeclampsia Foundation Annual Meeting, national and regional volunteer training opportunities, and local fundraising events such as the Promise Walk for Preeclampsia™. To learn more about how you can support our mission, fill out a Volunteer Application at www.preeclampsia.org/get-involved. What other fundraising options do I have if I can’t meet the requirements to produce Saving Grace? You are always welcome to host a “supporting fundraiser” and direct the proceeds to the Preeclampsia Foundation. We have ideas and information to help you. We will also continue to develop additional fundraising opportunities that can engage volunteers and supporters who wish fundraise and strengthen the Preeclampsia Foundation’s ability to execute our mission. Interested in submitting a proposal to host Saving Grace – A Night of Hope? There’s a two-step process to simplify the evaluation process. Volunteer Support: a secured list of volunteers with event management experience and deep proven contacts within the local community. Responsibilities Commitment Form: Foundation staff will review and discuss the Event Responsibilities Form with the proposed Event Chair. Other factors which strengthen the proposal include a relationship with a local university or hospital system interested in developing an educational event for healthcare providers and/or patients in conjunction with Saving Grace. Support and guidance will be provided by our staff and Board of Directors. For more information, please contact eleni.tsigas@preeclampsia.org. Most importantly, we want to say THANK YOU to the many volunteers and leaders that have led 10 years of our Saving Grace - A Night of Hope gala. These beautiful evenings of hope would not have been possible without the commitment of volunteers like you! Thank you for considering becoming a part of the continuing legacy of Saving Grace.